COMING TO OUR WEBSITE APRIL 2018! Another addition to REMCO Industries 2018 Innovations will be our introduction of the REMCO Accumulator / Tank Pulsation Dampener. It is a perfect match for your water pump system that requires low flow applications to assist in consistent flow, preventing pump cycling or water hammer. 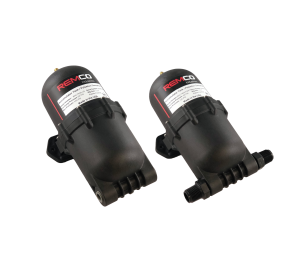 REMCO’s Accumulator is NSF-18 certified for use in any potable water, food grade or industrial application and “Made in the USA”.